A while back while trying to determine when a certain function was added to Inventor, I came across a reference to Inventor iCopy. 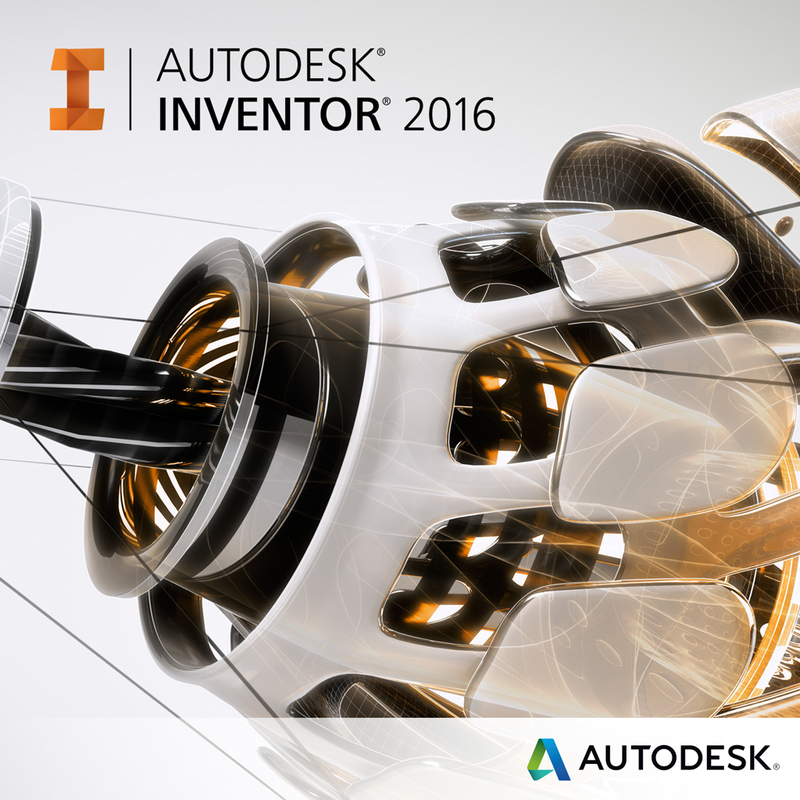 “iCopy” was a feature that was part of the Inventor 2011 release and for Inventor 2010 it was downloaded through Autodesk Labs. iCopy is a tool that helps streamline two types of workflows when you’re designing components in an assembly that look the same but are changing (example: width, length, and etc). Based on these images, the supporting cross member configuration looks the same as the tower goes vertically. But as the tower width changes; the length of these members are changing as well. 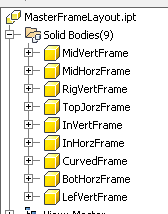 So ask yourself, if you had to model this type of structures in Inventor, would you want to model every cross member and then assembly them to your model? Probably not… So that’s one workflow that iCopy can simplify for you. However, for today I want to share the other workflow that iCopy can be used for. I believe more users could benefit from seeing this workflow instead of demonstrating how iCopy can be used to design a cell phone or electrical tower. Let’s say my company designs L-shaped CAD or lab workstations and we offer them in standard and custom sizes. Although there are numerous things you have to consider when designing a workstation, today I will only focus on a simple frame design that supports the top surface of the workstation. Outside of iCopy I could use frame generator, iAssembly, iLogic or maybe a couple of other Inventor tools to accomplish my end results. So let’s get started and a take a look at how iCopy can assist us. STEP #1: Start a new part and draw (sketch) a skeleton that represents the outline of the workstation top. This part will be considered as the Skeleton Layout Part. The size and location of this sketch is not crucial since the iCopy tool will be doing most of the work. However, I would recommend creating this sketch away from the origin point and also place some temporary dimensions on your sketch to get a close representation of your design. The other thing you have to consider when working with an iCopy model is how the sketch is constrained. Too many constraints may hinder you and not having enough could produce incorrect results. So ask yourself, if you did show all “degrees of freedom” for your sketch, are you able to change the configuration without any problems? Once this outline is complete, I will remove all of the temporary dimensions since we will be controlling it later on. STEP #2: Define the sketch (sketch #1) as being adaptive by right mouse clicking on it in the browser and selecting “adaptive”. STEP #3: Next we need to create the inner lines that make up the frame that will support the top of the workstation. I will now start another sketch on the same plane as sketch #1 and project all the entities from that first sketch. STEP #4: Now I will offset the projected geometry to make the inner frame geometry. For the first controlling dimension of my workstation, I want to create a parameter that allows me to control the frame width based on the design of the workstation. From there I will dimension the rest of the frame width to be equal to this dimension/parameter. After finalizing the frame outline I realized a frame width of .25 in didn’t appear correctly in the sketch compared to the overall size of the workstation, so I updated it to 1 in. STEP #5: Next I will add the lines to represent the miters or cuts on the ends of the frame pieces. I am only doing this so the individual pieces could be welded together later on in the fabrication process. STEP #6: Now I will exit the sketch and turn the visibility off on the first sketch (sketch #1) to ensure we are selecting the correct profile when we extrude our frame pieces in the next step. STEP #7: At this point it doesn’t matter which profile you use for the extrude step. However, I’ll select one and extrude it by setting its extrusion distance to a controlling factor of FThk=0.250. STEP #8: Next we need to share sketch #2 in order to extrude the other frame pieces/outlines. STEP #9: I will now create new extrusion solids for the rest of the frame members and set their extrusion depth to be equal to FThk. It is important to create new solids or a multi-lump part file. STEP #10: Before we go any further, lets save the file. For my example, I will call the skeleton layout part as MasterFrameLayout.ipt. STEP #11: Next turn the visibility of sketch #2 off. STEP #12: Follow by expanding (if not already) the Solid Body section of the Inventor browser pane. 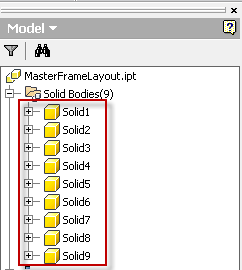 STEP #13: Now assign each solid body entry with a unique (browser) name and save your part file. This is the main reason why it was important to create a multi-lump solid per step #9. STEP #14: Next under the Manage ribbon tab, select Make Components and convert this single part into an assembly with all the required part components. Define the target assembly name and its location. STEP #15: Select Next>>, review the information for accuracy and the OK button to create the assembly. STEP #16: Once the assembly and all the related parts are created, return back to the skeleton layout part and turn the visibility off for all the solid extrusions that were created earlier in step #9. STEP #17: Now turn the visibility of sketch #1 back on in your skeleton layout part and save it. STEP #18: In the browser of your skeleton layout part, right mouse click on its name and select copy. STEP #19: Return to your Master Frame Assembly that was created under steps #14 and 15. STEP #20: Right mouse click on the screen and select paste to insert the skeleton layout part that was just copied in step #18. STEP #21: Now under the Assembly Productivity pulldown, select Ground and Root Component. Select the skeleton layout part that was just pasted into the assembly. At this point the skeleton layout part should now appear under the assembly components. Next save the assembly. At this point if I was designing a complete workstation I would continue on by completing its design and defining all the necessary iProperties/parameters. However, as I indicated earlier, I’m only demonstrating how to use iCopy on this simple frame design. STEP #22: In order to demonstrate another feature of iCopy, I will generate a quick 2 page fabrication print of the frame design. STEP #23: After saving my fabrication drawing, I will return back to the Master Frame Assembly that was created in steps #14 and 15. STEP #24: Next I will turn off the visibility of all the parts such that the only thing showing is the skeleton layout that was pasted into the assembly. STEP #26: Select the skeleton layout part in the browser as the template for the iCopy Author. Selection must come from the Inventor Browser pane. STEP #27: Select the Geometry tab. STEP #28: Define the points and prompts that control how the workstation top will be defined. STEP #29: Select the Parameter tab and make sure our controlling parameters are also included. STEP #30: Select the Document tab and add the fabrication drawing that was created earlier. STEP #31: Select the OK button to define the iCopy authoring. STEP #32: Next, turn on the visibility of all the individual parts and make the skeleton layout part is adaptive in the assembly. STEP #33: Save the assembly. At this point the iCopy authoring is completed. STEP #34: Since my company does fabricate different sizes of these workstations, I will also need a part (an iPart) that will control the layout. Basically I’ll be creating a simple sketch with work points that represent the 4 points that we defined in the iCopy template. From there I will create an iPart table with some of the workstations that we manufacture. STEP #35: Next I will start a new assembly and place a member of the iPart that was created in the last step. STEP #36: Save the assembly. This step is necessary before you can place an iCopy template in your model. STEP #37: Located under the Pattern pullout ribbon section of the Assemble ribbon tab, select iCopy to start the function. In earlier versions of Inventor, iCopy was located along with the Pattern and the Mirror function. STEP #38: Select the Frame Assembly that has the iCopy definition in it. STEP #39: Define the required points and parameters for this given workstation design. STEP #40: Select the next button and make sure all the components are being copied and not being reused. STEP #41: Select the next button. STEP #42: Define the iCopy file names and location where they will reside. For my example, I will accept the defaults. STEP #43: Select the OK button. STEP #44: Presto we just created a new workstation frame based on the dimensions or points that we selected. At this point I now have a separate assembly, frame parts and a fabrication print for this given design. For the drawing aspect, I did have to move views around and adjust their scales since they were overlapping each other. STEP #45: At this point I could insert another table layout in my assembly and create a separate design if I wanted too.